Most contractors in the residential construction industry lack the basic knowledge of what OSHA requires for fall protection and other standards The residential industry has done a poor job of training contractors nationwide. 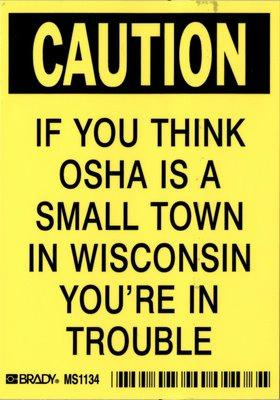 OSHA enforcement and education efforts in New England (Region 1)are focused heavily on residential contractors. Massachusetts and Connecticut contractors are telling us they are seeing OSHA on their sites for fall protection violations.